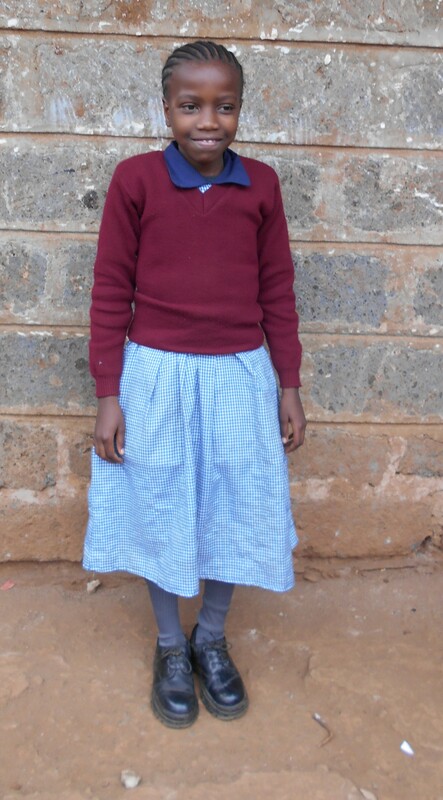 Quinter Awino lives in the Kibera slum in Nairobi, Kenya with her mother and siblings. Quinter aspires to be a lawyer. Her best subject in school is Social studies and she likes to jump rope with her friends. Her father left when she was very young. Quinter's mother works in a salon in the slum but struggles to provide for Quinter's basic needs and school fees.